Have Peace, Love & Hope for all who are going through a challenge and fighting for the cause. 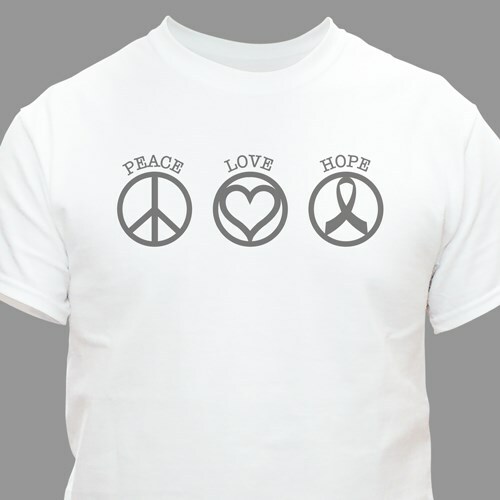 This t-shirt may be featured in one of our 5 awareness colors so you can show support for the cause that is close to your heart. This design is featured on our premium, pre-shrunk, 100% cotton, machine washable t-shirt. Available in youth sizes XS-L and adult sizes S-3XL. 4XL is available in white only.